The Sound Shirt by Junge Symphoniker Hamburg is a wearable device that converts sounds into nuanced vibrations in real-time. With it deaf people can really experience a classical concert for the very first time. The registration for our upcoming concerts is now closed. However, you can still enter your email address to receive information on future concerts with the Sound Shirt. The sound from eight different types of instruments is picked up by microphones on stage. A software translates the sound into data. 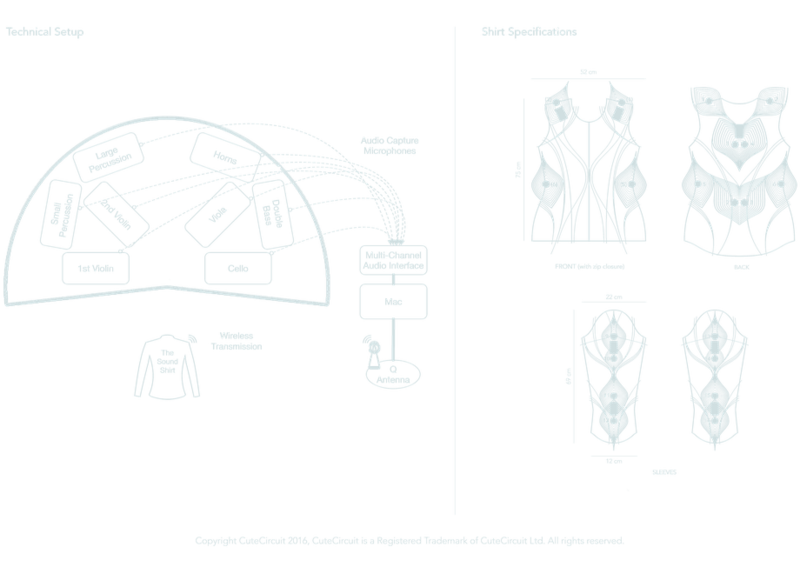 The data is sent wirelessly to the Sound Shirt. 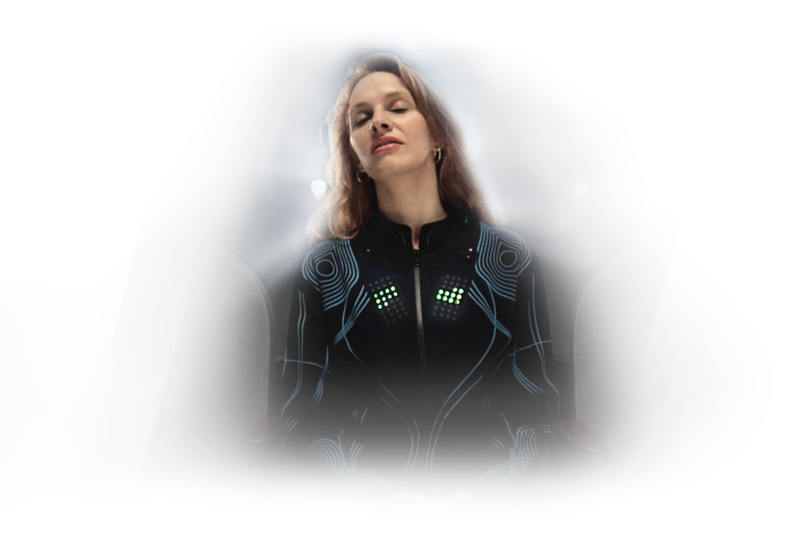 Sewn-in to the fabric of the shirt are 16 micro actuators that vibrate with the exact intensity of the music, enabling a real symphonic concert for the deaf and making it an unforgettable experience.